Halton Libraries is part of Fun Palaces 2018, a free, nationwide campaign for culture at the heart of community and community at the heart of culture happening over the weekend of the 6 and 7 October 2018. Both Halton Lea library and Widnes library will be hosting a Fun Palace for a third year running. Each Fun Palace celebrates the unique skills and passions of local people – run by, for and with the local community. If you have a skill or passion that you would like to share, please let your library know. 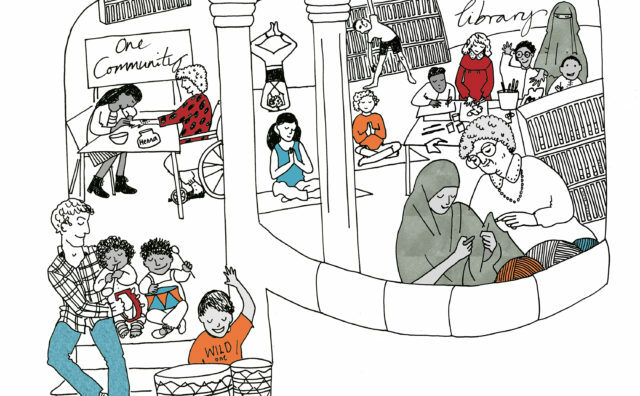 Since 2014 a total of 934 Fun Palaces across the world have been made by 24,000 people (‘Makers’) with 340,000 taking part. This year will be the fifth national Fun Palace weekend.